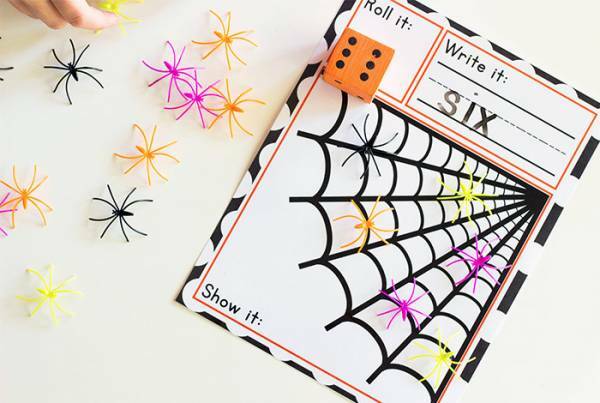 This cute printable for a spider roll and play game from Life Over Cs is a fun way to play with numbers. 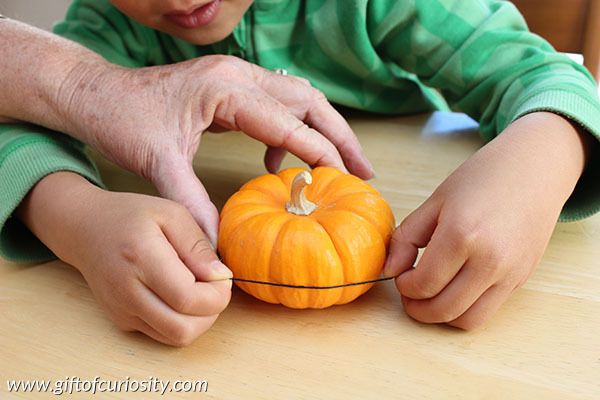 This little project would be a lot of fun to add to a center during the fall or just to have to play with at home. 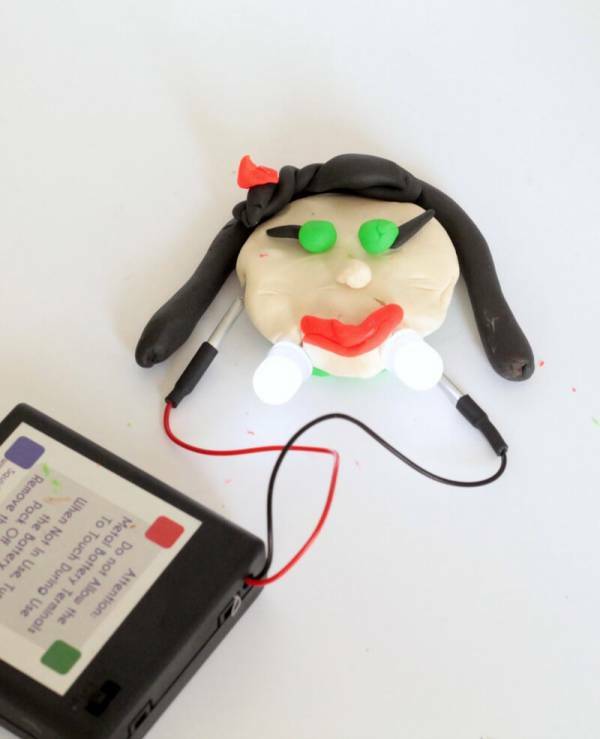 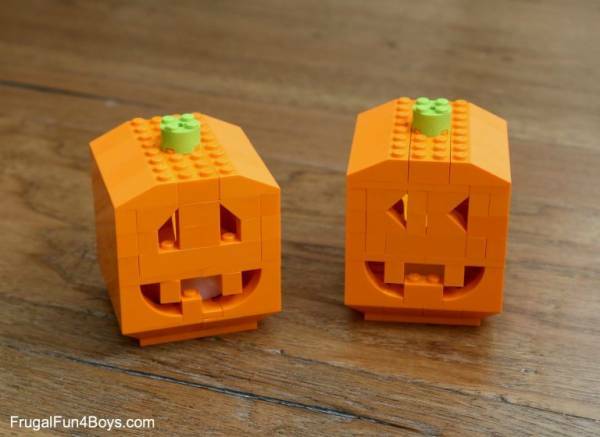 I love Lego challenges because they are a really easy STEM activity to do with items that we all already have at home or in our classrooms. 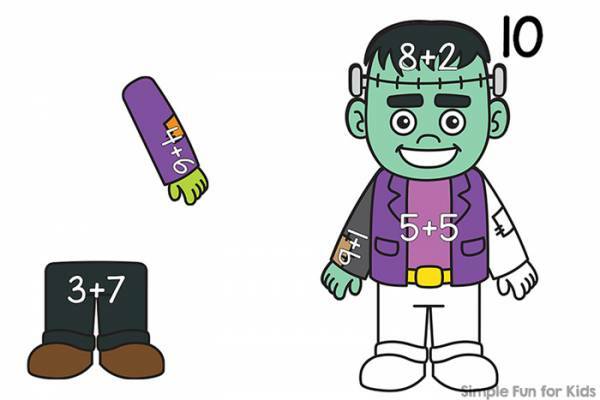 Here’s a super cute free math printable you still have time to use for Halloween. 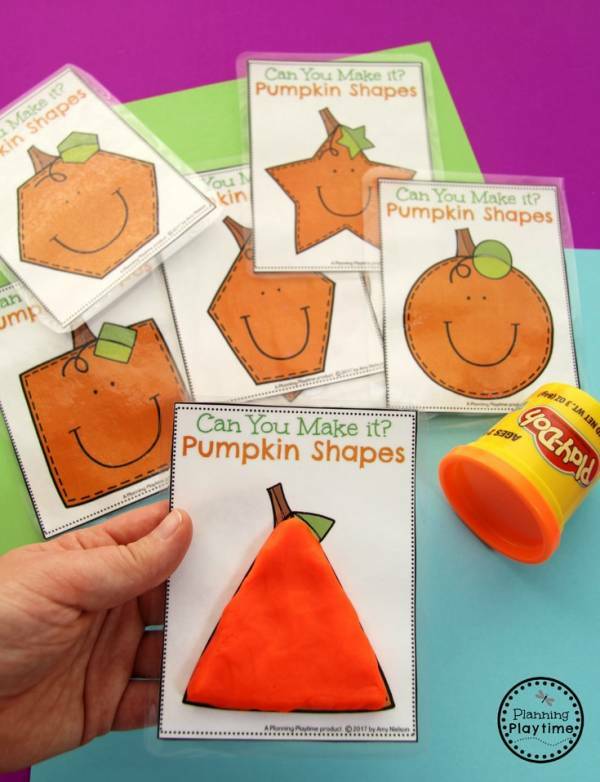 It’s not too late to add some pumpkin-themed fun to your learning activities for this week and next — and beyond, we’ve still got a lot of fall to go! 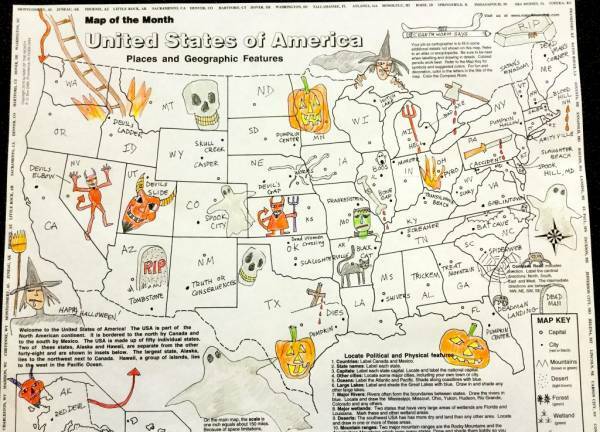 I love this idea from Map of the Month to make a spooky Halloween map using town names that are a little scary. 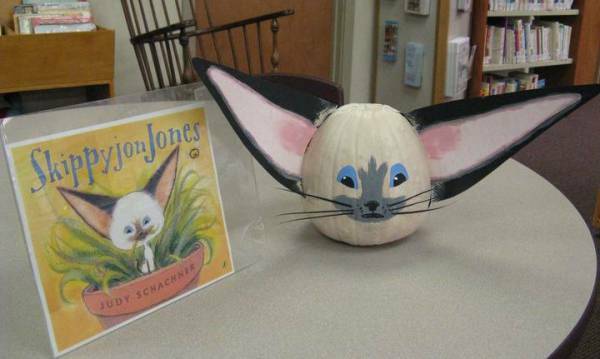 This is a great idea for decorating a classroom for Halloween or encouraging a love of reading at home. 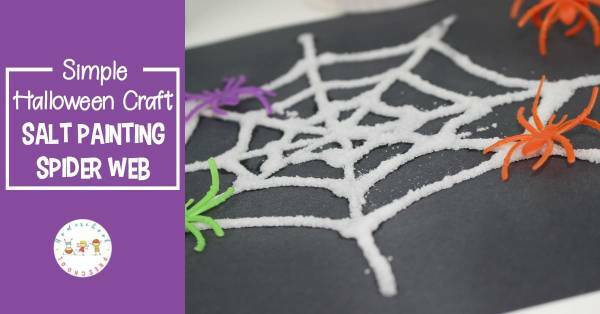 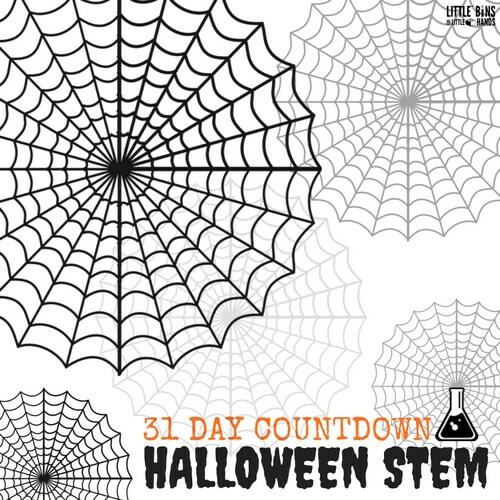 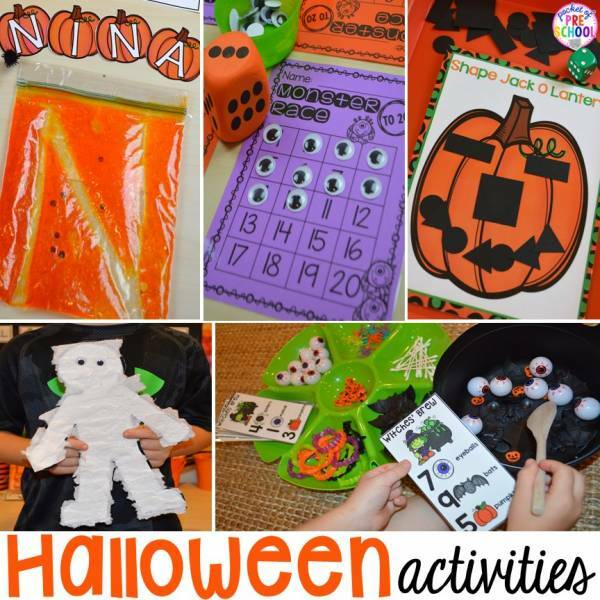 Little Bins for Little Hands has a great collection of 31 days of Halloween STEM activities you’ll want to check out so you can do some — or all of them! 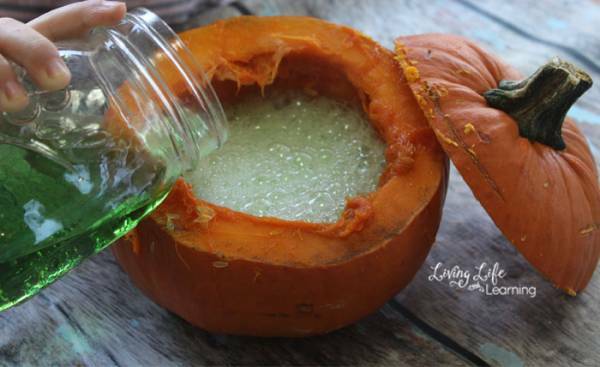 — before Halloween. 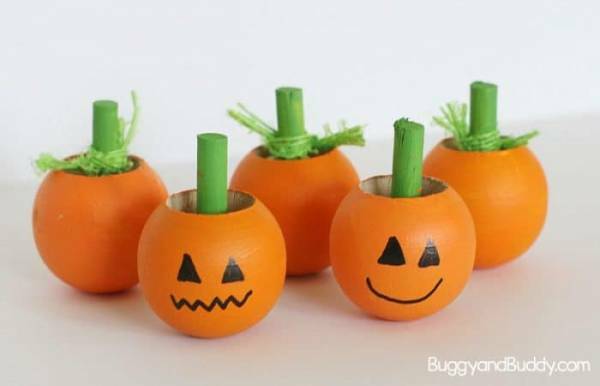 Odds are good if you celebrate Halloween that your household is about to have more candy in it than you really want to or should eat. 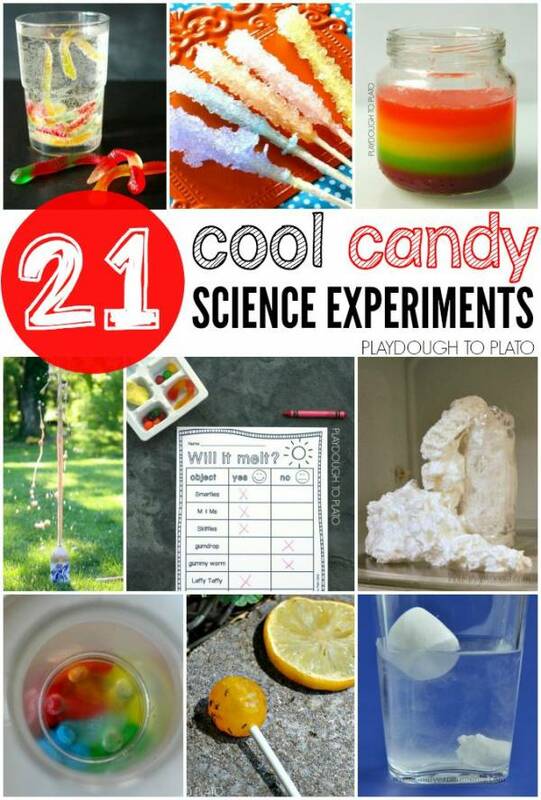 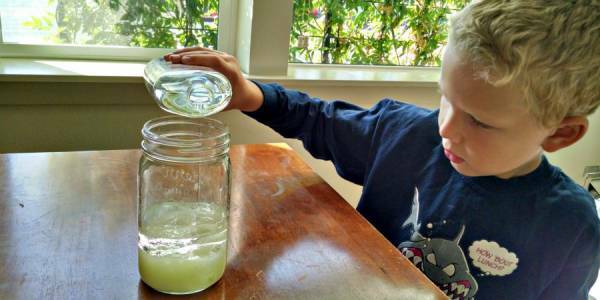 So why not turn some of that sugary goodness into a science project?